What if the wrong guy, turns out to be the right guy for you? Caesar Serrano thought he screwed up when he landed in the bed of LAPD Officer Nathan Reilly. But when Caesar breaks into the wrong house and stumbles upon a heinous crime, implicating a high ranking LAPD officer, Nate is the only person he knows to turn to. The resulting investigation throws the Blue Brigade into panic. Now he's running for his life and Nate is his only hope for survival. 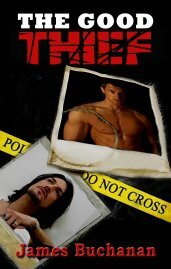 Can two men, on opposite sides of the law, come together to bring a monster to justice?